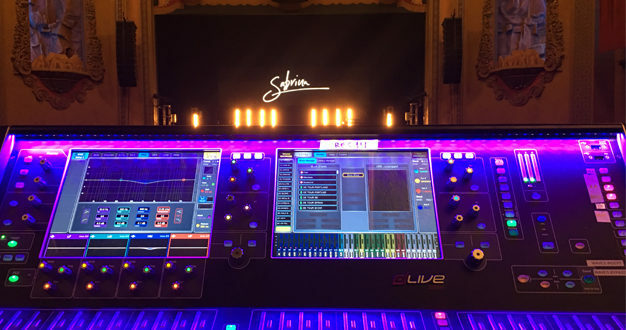 American singer-songwriter Sabrina Carpenter is currently touring the US and Canada with an audio package that includes an Allen & Heath dLive S5000 Surface. 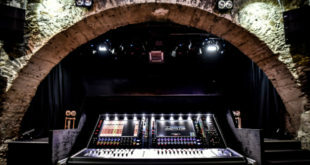 “The De-Tour”, which incorporates over 30 venues, utilises venue-provided ‘racks and stacks’ and also carries a 32-foot video wall, with a DM64 MixRack for FOH duties. 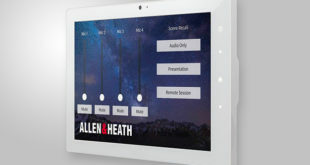 “I continue to track every show because the tour has taken us to a variety of venues which are all very different sounding environments, and the VSC really helps with setups,” said Brandt, who set up separate show files for each opening act to allow them full flexibility with their mixing needs while maintaining his dLive setup for Carpenter. Brandt uses a combination of Waves and other external effects along with the dLive’s internal harmoniser, hall reverbs and delays. 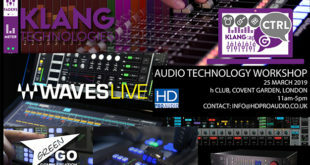 He manages the tour’s 48 inputs, six recorded tracks, multiple effects returns and DCA masters with dLive layers, keeping critical controls on top at all times. 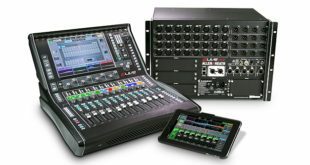 The tour’s dLive S5000 Surface includes a Waves card and an AES3 I/O card, while the DM64 MixRack includes a Dante card.